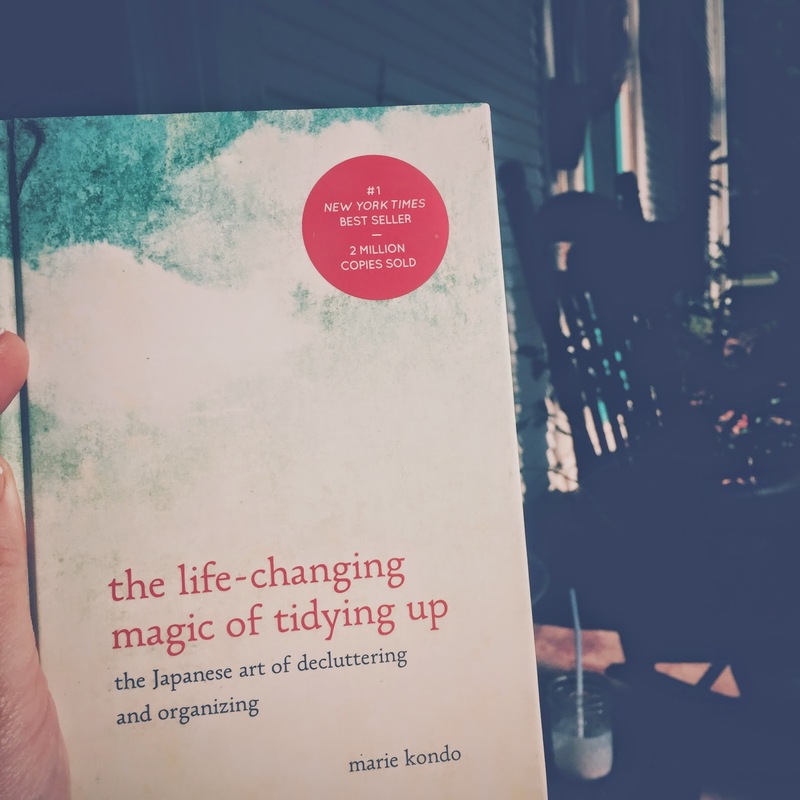 I read through the life-changing magic of tidying up last week. I decided to share a bit of what I gleaned each day on Instagram. You can read about it in my previous post Does It Spark Joy? I thought I would put the daily segments from that post and the remaining ones together in one post for anyone considering reading the book or looking for inspiration. I learned most of all that letting go can help you see what you truly love and seeing what you truly love can help you let go. Keep your eyes open and look for things that spark joy. Reading through "the life-changing magic of tidying up." It's funny how a simple phrase can evoke so much emotion. Even though the words are referring to objects, the mind cannot help but wander to the things of the human heart. I look back over the last week of my life and think about those moments that did spark joy and those that brought pain. I found myself in a lonely place this week longing for a friend. I found myself with my face immersed in red curls. I found my heart to be completely satisfied and completely longing. As I looked at this phrase, I thought very hard about the "joy bringers" and it made me reflect deeply about the moments I will choose to linger in and the ones I will choose to discard. Does it spark joy? I was sitting at Shady Grove in the light drizzle with my dear friend Emily today. If you haven't eaten there, go. I had the most beautiful Cobb salad. Em had a Hippie Chick Sandwich. I digress. We were talking about change and letting go. I had been reading about this in the tidy book. Marie was talking about sorting photos and momentos. I loved what she said about how things had served their purpose when we received them. They shaped the person we had become. We can release the past and bless it. "As you put your house in order and decrease your possessions, you'll see what your true values are, and what is really important to you in your life." Everyone needs a sanctuary. We make peace by releasing all of the events of our life to the sovereignty of God. We submit it to him for healing. Then we can give ourselves the greatest gift a woman can give herself. You are free to cherish who you are now. Support this blog and give to Gomer's House.